(CNS): Despite the public criticisms and full on attacks from former premier McKeeva Bush, the currrent auditor general has not been put off his work here in the Cayman Islands and has agreed to stick around for a wee while longer. The governor’s office confirmed Friday that Alastair Swarbrick’s contract hasbeen extended for another three years. ayman Islands Governor Duncan Taylor, who awarded Swarbrick a new contract to start next month, said Friday that he had every confidence in the public auditor. “I am delighted that the Auditor General wishes to continue in his role,” said Taylor. “I believe that over the past three years he has done an excellent job, proving himself to be a robust defender of proper accountability for public finances and providing a clear lead to the staff of the Auditor General’s office. The Auditor General’s role is a critical one in Government and Alastair brings a wealth of experience to it. I have every confidence that he will continue to carry out his duties to a high standard and to add value to the Cayman Islands government operation,” the governor added. As I listen to the discussion over the past couple days and I hear the criticism of the independents not acting in a manner or with the expediency that some of the public seem to want or feel entitled to, it really makes me wonder if we, the public, are being reasonable. I say this because: 1) Roy, Winston and Tara have never been greedy, nor are they doing this for personal gain. 2) Roy, Winston and Tara were all elected to use their best judgment and make sound decisions, and in order to make sound decisions one must consider all sides and not just take what seems to be obvious as fact. 3) All three of these people have pledged to put what is best for the country first, so I can only assume that the time it took to make these decisions and any negotiations were with the intent of putting the country first and not a personal or group agenda for personal gain. I continue on with my thoughts of whether we, the public, are being reasonable in our expectations as we are now all living in the age of instant information. Never before has the “Marl Road" been more efficient. Regardless of fact or fiction, we get the gossip faster than the speed of sound. I would offer the argument that if we had the current level of communications and media involvement in military activities during WWII, we might very well may have a different world and potentially much worse than we live in today. We, the people, want information NOW! We want to know exactly what is being said minute by minute, as thoughwe are watching “Ed TV”. I personally think we, the public, are making demands that really are not necessary or appropriate, especially during the negotiation stages of these type of decisions. I will offer a metaphor. I would say that if my car stops running, I am going to call my mechanic. When he tells me what is wrong (your transmission is shot), what it will cost and how long it will take to fix it, that is all I need to know. What he does to fix it, what tools he uses, and the when and how he proceeds with the work are not things I concern myself with. I just want my car back working for the amount and on the day agreed upon. I would also offer the additional complication to the above metaphor for a person like me. I don’t want to admit it, but I am a person who knows how to do simple maintenance, knows what the transmission is, but have no clue how to rebuild a transmission. Risking serious condemnation, I would say that what I have learned over the past two years is that the general public is in the same position politically as I am mechanically. We, the voters of Cayman, really don’t understand how our government is structured and is supposed to work, yet we have expectations of actions by our elected representatives to act in a manner that is dictated by us but simply doesn’t fit into the format of our legislative structure. Roy McTaggart has come under heavy fire recently for sitting on the opposition and has been labeled everything under the sun. This to me shows that we simply don’t understand our government structure. I will refer to the use of a metaphor again, and I will use my marriage as an example. My wife and I both want the best for our family, however my perspective on where our funds should go on occasion does not line up with the perspective she has. A short discussion results in the facts being laid out on the table and the right decision being made as to what should or should not be priority (typically she wins). Her opposition to my perspective is healthy and is in the best interest of our family. It is opposition that is done in the context of the mutual respect and is openly accepted upon the facts being realized. Now I will also offer this: if my brother and I had the same conversation with the same facts, the outcome very well may be completely different, as the personalities and delivery would be completely different. I feel completely comfortable with Roy making the decision he has made. He is a very level headed individual and he understands the legislative structure. He also has what is best for the country at heart. At the end of the day, we need to trust in the people we have elected that they have the best for the country at heart and they will make us proud. We need to give them our support, and support them by enlightening ourselves to the facts prior to perpetuating negatives. (CNS): The launch of a new monthly event celebrating all things local shceduled for this evening has been cancelled due to expected bad weather. However, organisers say the event will take place Friday 28 June. 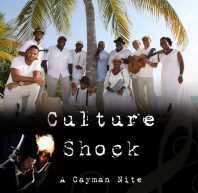 ‘Culture Shock: a Cayman Nite’ is designed to be the pulse of Cayman, and Grass Piece Group, the local non-profit organization behind it, plans to revitalize George Town through a once monthly celebration of Cayman people, music, art and culture. The entrance will be free and organisers promise it will be an extraordinary night. Kids will have their own special area for fun and games and there will be lots of Caymanian food favourites at each event. This month will feature vendors from North Side, who will sell favourites like fish tea, fish and fritters, conch, turtle, beef, cakes and local fruit juices. Aside from great food, the entertainers set for this inaugural event are local favourites the Red Bay Drummers, Shameka Clarke, Andy Blake and Swanky Kitchen Band. A spokesperson for Grass Piece said, “In so many other countries the capital is where all the excitement is. It’s as if you can feel the heartbeat of the city intensify as night falls. But here in Grand Cayman, after corporate business hours, George Town is eerily deserted and quiet; many have likened it to a ghost town. Part of the problem is that there is nothing to draw people in. Grass Piece management wants to change that and expects that these events will give locals a reason to fall in love with Town again. We want to bring excitement back to downtown George Town while re-building a sense of community, and we plan to do exactly that on the last Friday of every month. (CNS): As Cayman sat under a cloud of rainy weather on the eve of the 2013 Atlantic Hurricane season Friday, meteorological experts were warning of busy season ahead. Some forecasters are pointing to an “extremely active" hurricane season. Scientists from the National Oceanic and Atmospheric Administration (NOAA) in the US have said they expect to see 13 to 20 named storms. This range means the season should be an "above normal and possiblyan extremely active" one, said Kathryn Sullivan, NOAA's acting director. Sullivan said that NOAA expects to see seven to 11 hurricanes, those storms with sustained winds of at least 74 mph, of which six are likely to be major hurricanes category 3 or above with winds of 111 mph or more. This forecast is well above the seasonal average of 12 named storms, six hurricanes and three major hurricanes, according to NOAA. The above-normal season is likely thanks to a "confluence of factors" that favor cyclone formation, Sullivan said in a release this week. These include above-average sea-surface temperatures in the Atlantic and Caribbean where these storms form. Warm waters fuel cyclones and make them stronger. The El Niño climate pattern is not in effect, which favors Atlantic hurricanes, since El Niño's easterly winds can tear apart developing cyclones. Hurricane season officially begins on June 1 and ends on November 30, though storms can, and have, formed outside of those dates when conditions were favorable. Cayman can expect heavy rain and cloudy weather for the next five days according to local forecasts and although there is plenty of cloud around the Caribbean Sea and Gulf of Mexico but at present there no tropical storms on the horizon. Local hurricane officials are planning the annual hurricane exercise for Monday, when they will test out their state of readiness. In the meantime, all residents are urged to ensure that they are prepared to face whatever this season throws at Cayman. As well as the onslaught on Cayman’s financial sector from the UK, Europe and the US, McLaughlin will have to deal with a very difficult budget situation in the face of a still stagnant economy and austere restrictions imposed by the UK. However, forced to go to the UK next month in response to the British Prime Minister's call for greater transparency and information sharing by its territories, the premier has already made it known that he wants to talk with the OT minister about a much longer term fiscal plan when he visits the UK that can alleviate some of the pressure on the local economy. McLaughlin said this week that Mark Simmonds had said he is willing to work with the new government on such a plan. At home, McLaughlin’s team has been handed some major issues which will also need to be dealt with. The Dart agreement regarding the West Bay Road, the completion of the John Gray High School, the requirement of a youth remand facility as per the constitution, as well as the question of rollover, as we are now only five months away from the can that was kicked down the road by the UDP government with the introduction of term limit extension permits, which expire in October. The new premier has also stated that the cruise berthing project and the airport redevelopment are both priorities for his administration, which will create jobs and boost the domestic economy, but he has made it clear they will be properly tendered. All of McLaughlin’s new Cabinet team and the back-bench supporters are going to be very busy. An area that the people will be hoping that Tara Rivers, his new C4C cabinet member, will turn her attention to immediately is the issue of linking the available jobs to locally qualified Caymanians and also enforce the existing immigration law to ensure local people get jobs without cutting the work permit revenue government has become increasingly dependent on. Meanwhile, with public works in his portfolio, the former leader of government business, Kurt Tibbetts, will have the most controversial job of all, which is to tackle the George Town dump, where it is without funding. Financial Services minister Wayne Panton also appears to have a double challenge: he is tasked with protecting the country’s most important industry from the on-shore attack and dealing with copious new international regulations, but he has also been given the job of protecting Cayman’s natural environment. A keen supporter of the National Trust and an advocate for conservation, Panton is already being heralded as the minister that may finally implement the necessary laws to protect both the land and marine habitats, which are both under immense pressure from natural as well as man made threats. 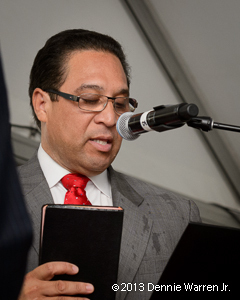 Marco Archer, who will be dealing with finance as well as development and planning, has his work cut out for him and will not have very long to pull together the PPM administration’s first budget. Although the government will be able to vote an interim budget based on the previous annual finance plan, that can only be for four months at most. McLaughlin said on Tuesday evening at a press briefing that he wanted it to be considerably shorter than that. This means Archer will need to come up with a new spending plan which cuts previous costs if he is to begin meeting the PPM campaign promises and delivers a surplus acceptable to the UK without making civil servants redundant and without cutting important services as soon as possible. Education Minister Osbourne Bodden’s biggest project will be to finish the second high school. While students at Clifton Hunter have been enjoying the state-of-the-art facilities at their new school this academic year, kids from George Town and West Bay are still making do on the site of the old George Hicks school and parts of John Gray, while the new school has mostly been on ice for the last three years. Meanwhile, Deputy Premier Moses Kirkconnell will be picking up the tourism portfolio, which, as a result of the work by Shomari Scott and his team at the Department of Tourism, has been doing fantastically well attracting overnight guests. However, it is this ministry which will oversee the development of cruise berthing and the airport redevelopment and the haemorrhaging of funds by Cayman Airways. 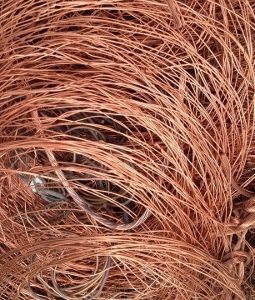 (CNS): With the value of copper having increased dramatically over the last few years, from $1.25 per pound in 2009 to around $3.33 per pound today, theft has become more prevalent in Cayman, as in many other places around the world. As a result, the Chamber of Commerce made it the subject of their latest 'Be Informed' session, when Dave Johnston from Corporate Electric outlined the problem of losses from contractors' premises as well as customers' installations. He told the Cayman Chamber audience that it was now the fastest growing crime in the UK, costing contractors hundreds of thousands of dollars, as he called for an awareness campaign in Cayman. With the price of recycled as well as new metal holding, this is tempting thieves to take everything from manhole covers to telecommunications cables. He also pointed out the dangers caused by the theft when wires are exposed, and related a story where thieves in the UK had cut the neutral cable of an overhead power line, which caused the supply to six nearby terrace houses to become live. This caused a spark from an electric appliance that burnt through the gas pipe for the cooker, which in turn caused a leak, which then ignited. Luckily, no one was killed but six homes had to be demolished. 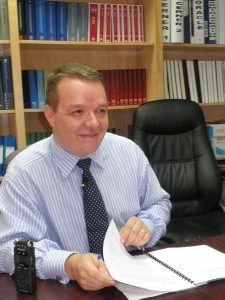 Johnston said that as well as raising the public profile of this crime, Cayman needed to enhance security measures. He also pointed to the possibility of regulating the scrap metal business by registering all scrap metal recyclers, to require a provenance check and identity records for all transactions. 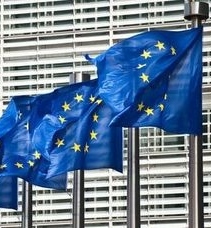 He pointed to action taken in other jurisdictions to ban cash transactions. Given the size of Cayman, he suggested that the country could have a single-source recycling or even an outright ban on the export of all non-ferrous recycled material. (CNS): The country was in mourning Thursday at the loss of political stalwart and trailblazer Edna Moyle. The former legislator was laid in state at the country’s parliament building ahead of her funeral this Saturday with full honours. Moyle, a founding member of the PPM, the new ruling party, was a four term representative for North Side, where she made a lasting impact. She was also a minister and ultimately a Speaker of the Legislative Assembly. Pointing to her many accomplishments, Deputy Governor Franz Manderson described her as an exemplary public servant “with a personality that was impossible to ignore”, as he paid tribute to her passing. 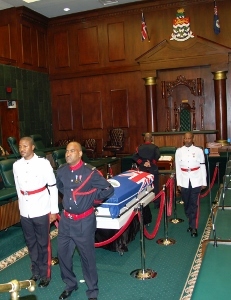 The mortal remains of Edna Moyle lay in state in a Cayman Islands flag-draped coffin in the Legislative Assembly Chambers throughout the day as a steady stream of guests paid their respects. It is the first time that the chambers have been opened up to the public for such a purpose. In a mark of respect and remembrance for Moyle, all emergency and first responder services across the Cayman Islands observed a minute of full radio silence on the Cayman Islands Government radio network system, along with the lowering of a ceremonial flag. “This is the first time in our country's history full radio silence was observed,” said Eric Bush, Chief Officer in the Portfolio of Internal and External Affairs. He explained that in many countries, radio silence is considered the utmost demonstration of respect and remembrance for a passing of a senior public officer. Officials said that after the coffin was placed in the House this morning, members of the late speaker’s family led the viewing, followed by the new speaker, Juliana O’Connor-Connolly, all of the members of the Legislative Assembly (MLAs) headed by Premier Alden McLaughlin. Manderson led civil servants past the coffin, guarded by a team from the uniformed services. Speaking about Moyle’s career as a representative, Manderson said she helped to establish a library, health centre, civic centre, police station and community park in North Side. “A tireless advocate for the elderly in the district, she also had a strong appreciation for young people,” he said. “Her work also led to positive changes for the wider Cayman Islands. A particular focus for her was on women’s issues. She was responsible for a government motion to make women’s affairs a Cabinet remit. This led eventually to the establishment of a Women's Resource Centre,” Manderson added. “It is a source of pride to the civil service that a woman of Mrs Moyle’s achievements spent more than a decade as civil servant. During this time she worked as personal secretary to Administrator John A. Cumber, as well as deputy clerk of the LA before returning to the private sector,” the head of the civil service said. “Her consistent readiness to work for the good of others is a characteristic that should define all civil servants and indeed all public servants. On Saturday, 1 June the official funeral starts with a procession from the Bodden Funeral Home at 11:00am. It will traverse through the central precincts of George Town, before moving to North Side district for funeral services at 3pm at the Clifton Hunter High School in Frank Sound. Interment follows in the late speaker’s family plot in North Side. (CNS): With some 52 candidates in the 2013 May election race and only 18 seats, 34 candidates were always going to be disappointed. Some candidates came very close and missed a seat by a just a few votes, while others were way off the mark. All candidates have to put up a deposit of $1,000 when they enter the political race in order to encourage only serious contenders because those who do not poll 10% of their vote lose that cash, which is retained by government. Matthew Leslie won the overall wooden spoon after polling the lowest number of votes as well as the lowest percentage of the vote, but another five candidates missed the mark. And with the Elections Office strapped for cash, the $6,000 will be very useful. The office is facing a budget overrun for this year’s national poll and will be grateful for the money it collected from the six candidates who fell short. 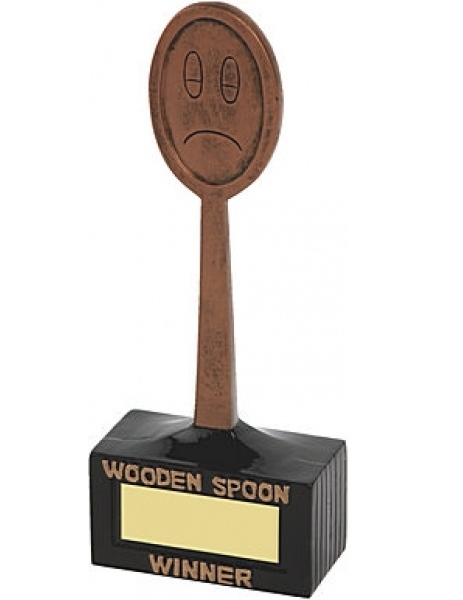 Winning the George Town and national wooden spoon, Leslie polled just 1.56% of the vote in the capital with just 91 people voting for the independent candidate, who used mostly social media to promote his campaign. Meanwhile, Dr Frank McField,who also ran in the capital, lost his deposit after polling just 3.6% or 211 votes, fulfilling his own prophecy that the parties and C4C candidates were financially crowding out underfunded independents. McField polled less in 2013, however, than he did in 2009, when he still lost his deposit but had 4.72% of the vote. Despite the increase of around 3,000 voters since then in the capital, the former minister’s votes fell by five. In Bodden Town Vincent Frederick, Gregg Anderson and Arnold Berry, all of whom ran low profile campaigns, also lost their deposits. Frederick came in last in the race for the district, with just 3.79% of the vote and 136 votes. Although this was two votes more than at the last election in 2009, his percentage of the vote fell from over 4% because of the increase in the electorate. Anderson pulled in just 5.34%, while Arnold Berry polled just a few more votes toget 5.73%. Andrea Christian was the only candidate in West Bay to lose her deposit but she polled the most out of the ‘wooden spooners’ as she got 262 votes or 7.82% of the vote. Another independent candidate in West Bay, Dwene Ebanks, saved his deposit with 370 votes and just over 11% of the poll. In Cayman Brac and Little Cayman, despite polling a small amount of votes, Maxine Moore, who has lost her deposit several times before in her failed attempts for office, managed to hold on to her $1,000 this time when her 91 votes equated to 11.14% of the vote. Despite polling just 139 votes in his head-to-head run against Ezzard Miller, Joey Ebanks not only retained his deposit but managed to get almost 30% of the vote because of the small number of candidates in the district. Not surprisingly, given the popularity of the incumbent member and the legal difficulties Ebanks currently faces, the result was not as good for him this time around compared to his attempt in 2009. Although scandal still dogged the candidate at the last election, when he ran on the PPM ticket, regarding an unexplained loan from the Turtle Farm, among others issues, he was still able to attract over 37% or 185 votes. All of the other candidates managed to stay well out of the danger zone but for some the disappointment was more about how close they got to the prize. In George Town, the UDP’s Mike Adam missed out on a seat by just 51 votes, a mere 0.8%. His party colleague Theresa Pitcairn also came very close in Bodden Town with 37.63% of the vote, just 41 votes behind PPM candidate Al Suckoo, who pipped her at the post with a lead of just 1.1% of the vote. With the vote split every which way this year, the independent candidates had a hard time of it but Bo Miller put up a great fight in George Town and increased his share of the vote compared to his 2009 run. Miller got 1,590 or 27.28% of the vote, a significant improvement on the last national poll when he drew in just over 17% with just 808 votes, and turned out to be the best performing truly independent candidate in George Town and second in the entire race. Charles Clifford, who was fighting as an independent this time around to win back the Bodden Town seat he lost in 2009 as a PPM candidate, did the best of the independents. Clifford got 1,220 votes, which equalled almost 34% of the vote, compared to his first losing run in 2009 when he got a lot less votes with 932, which at the time equated to 33.11% of the voters. The record breaker for this election, however, was Moses Kirkconnell, who drew in 75% of the vote in Cayman Brac and Little Cayman, surpassing even McKeeva Bush’s 2009 result when he managed to get around 71.6% of the vote in West Bay. This time around Bush’s share of the vote plummeted to 47.27%. Although more than enough to return him as first elected member in the district of West Bay, he lost some 569 votes on his 2009 result. Ezzard Miller increased his share of the North Side vote by around 20% when he got more than 70% of the vote in his constituency, while Arden McLean’s share of the vote in East End was cut by around 2%. (CNS): With tobacco one of the many commodities that play a part in the underworld prison economy and smoking a common habit in the monotony of prison life the move by the local prison service to gradually ban smoking in the local prisons is more than just a move towards healthy prisoners. 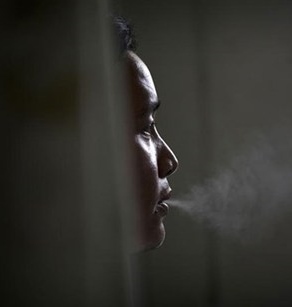 In a release from government marking World No Tobacco Day on Friday, officials were focusing on the health and safety aspects, however, of a tobacco ban at HMP Northward and said work has already begun on a phased basis to create a smoke free environment in the prison. As the local tobacco law bans smoking in all public places an implementation committee was establish last year to help the prison comply. "The decision to make HM prisons smoke free was made for both health and safety reasons, as well as to be compliant with the Tobacco Law 2008 and Regulation 2010. Given the serious health consequences of smoking and second hand smoke, we considered it to be the right thing to do for our prisoners and staff,” said Aduke Natalie Caesar Josephs acting Deputy Director of prisons. How the prison which struggles to prevent inamtes from smoking ganja as it is will enforce the ban remains to be seen, however but while there will still be designated smoking areas in the prison exempted from the non-smoking policy for the time being the goal is for the prisons to be totally smoke free by 2014. This includes a no smoking policy for staff. The prison system will provide counselling and therapeutic assistance to help people cope when the no tolerance policy comes fully into effect under the new prison director expected next month. Meanwhile, government officials are organizing various events to mark the day and focusing on Article 13 of the World Health Organization’s (WHO’s) Framework Convention on Tobacco Control (FCTC) which calls for a comprehensive ban on tobacco advertising, promotion, and sponsorship. Comprehensive advertising bans have been found to positively impact the numbers of people who decide to start or to quit smoking. Statistics have shown that banning tobacco advertising and sponsorship is one of the most cost-effective ways to reduce tobacco demand. For this reason such a step is considered to be a tobacco control “best buy”. The Cayman Islands is already a party to the FCTC and the Tobacco Law 2008, imposes a comprehensive ban on advertising, promotion and sponsorship. Although one of the first countries in the Caribbean to enact anti-tobacco legislation to ensure a smoke-free environment for all residents and visitors according to a recent local health survey 15% of the population aged 25-64 still smokes tobacco. The Healthy Nation 2012 survey also found that men are twice as likely to smoke tobacco as women (20.7% and 9% respectively). Among those that smoke, the majority (67.1%) smoke daily. Among women 35-44 years of age, 79.35% of those surveyed said they smoke daily as compared to 52.4% of men in the same age group. international statistics show that the global tobacco epidemic kills nearly 6 million people each year, of which more than 600,000 die from breathing second-hand smoke. Unless the world acts against tobacco, smoking will kill more than 8 million people every year by 2030. Tobacco use is the single most preventable cause of death globally. It is currently responsible for killing one in 10 adults world-wide. “This is a global problem, but also something that can affect us all as individuals. I encourage everyone to take a stance against smoking today, before it is too late,” urged the Medical Officer of Health, Dr Kiran Kumar. Dr Kumar said the Healthy Nation Survey showed that 86.7% of both sexes report noticing health warnings on cigarette packages and 72% of them thought about quitting after reading the warning labels. As a part of this year's World No Tobacco Day observance, the Cayman Islands Cancer Society and the Public Health Department have launched a poster competition in the schools, whereby students are encouraged to create images that depict the harmful effects smoking has on the body. There will also be a series of presentations and other messages that focus on the negative effects of tobacco, shared with the public through media and schools. For more information, contact Therese Prehay in the Public Health Department on 244-2632.